Cognotion was part of the 2014 New York Techstars program. TechStars has accepted over 1000 companies into its programs. Collectively, these companies have raised over $3.3B USD and have a market cap of over $8.1B. GE Ventures and StartUp Health, a global health innovation company, are expanding their partnership to focus on a class of healthcare startups developing virtual health and next generation payment solutions. 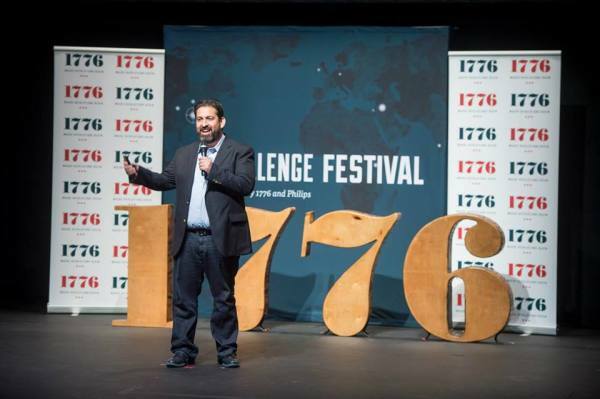 1776 Challenge Cup in partnership with Revolution is much more than a competition — it’s a movement of startups bringing world-changing ideas to life and solving meaningful problems on a global stage. ASU GSV Summit 2016: Main Stage Panel: EmploymentTech for All - A Conversation between Tech CEOs and Workforce Development Leaders Moderator: Josh Copus, Vice President & COO, National Association of Workforce Boards Panelists: Alexis Ringwald, CEO, LearnUp Joanna Schneier, CEO, Cognotion Scott Kirkpatrick, President and COO, General Assembly Kris Stadelman, Director, NOVA Workforce Board Patricia Wallace, Director of Workforce Development, Maricopa County Education and training opportunities are just a mouse-click away. 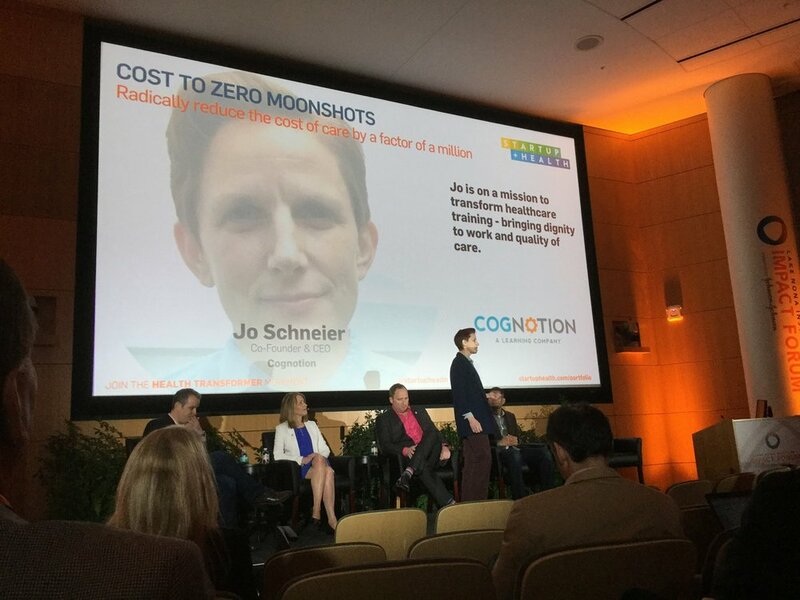 Enter Joanna Schneier and Jonathan Dariyanani, co-founders of Cognotion, a Louisville-based learning company, which designed a digital training program that addresses the “emotional state of the learner,” as Dariyanani described it. The GlobalMindED movement is about access, equity and opportunity for First Generation to College and underserved populations, those who work with them and those who want to hire a diverse talent pipeline. At our annual conference, we convene thought leaders from all backgrounds and industries to support educational innovators who are setting a new standard for inclusive leadership. Cognotion was honored to speak on gender equity, food and aging and inclusion. We are honored to be a mentor at the NYU Summer Launchpad for the second year in a row. NYU Summer Launchpad is a 10-week accelerator for teams of NYU student entrepreneurs that provides $10,000 in grant funding (non-dilutive, zero equity), startup skills bootcamps, 1:1 coaching from NYC entrepreneurs and early stage investors, collaborative workspace for the summer, pro-bono legal incorporation counsel, web hosting credits and other perks to help get your venture launched. We have participated in the healthcare hackathon, the entrepreneur festival as well as being a mentor at Leslie eLab winter program. 2014 Hosted by Don Burton, Managing Director, Education Technology, TechStars, With tens of millions of dollars invested in a notoriously difficult sector, some clear trends are emerging about how technology is going to be able to shape the educational experience. 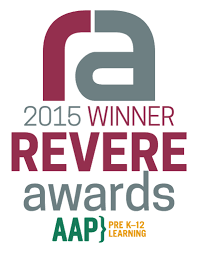 The REVERE Awards identify and honor high-quality resources that educate learners of all ages, in all media, and in all educational environments, both in and beyond the classroom. Cognotion was the proud recipient of the 2015 Foreign Language supplement award for our program "Too Many Tildes"
Cognotion was honored to speak at the Lake Nona conference 2017. More than 250 of the nation’s top health care entrepreneurs and innovators, academics, government officials and other thought leaders will discuss and develop solutions to improve health, wellbeing and sustainable living throughout the world at the 2017 Lake Nona Impact Forum held Feb. 15-17 in Lake Nona, Orlando, Fla. The 5th Annual Impact Forum will feature a series of collaborative, action-oriented discussions about the impact of healthy community innovation; sports health and performance; progress and challenges in advancing mental health care; and promising health care technologies and start-ups, among other topics. Healthcare Connect is a premier conference for influential corporate investors and strategic partners in the healthcare industry. The two day gathering serves as a platform to cultivate networking and collaboration among players with backgrounds in Corporate Venture and Innovation, with a focus on driving advancements in Biotech, Medtech, Diagnostics and Digital Health. As in recent years, we encourage each fund to "Bring your own CEO". Cognotion came with StartupHealth.